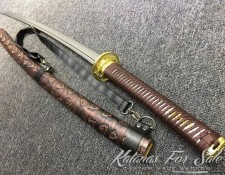 Steel Comparison - Which Steel to Choose for Your Samurai Sword? 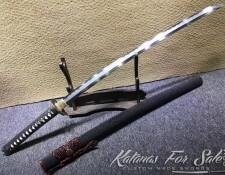 For beginners who are just starting to collect and use Japanese swords, one of the most commonly asked question is what kind of steel is used on these samurai swords? 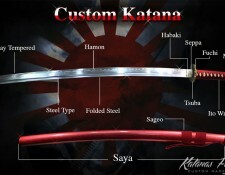 The next question is usually about the differences between the steel properties on different Samurai blades. 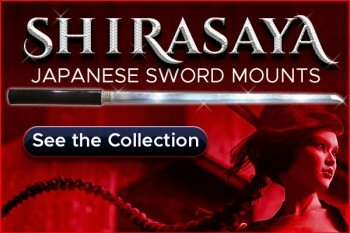 Before you make a purchase, ask yourself what do you want the sword for? 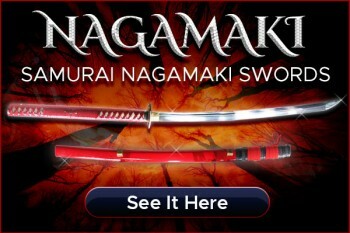 The other option is having a shinken katana (sharpened sword) that can stand up to the rigors of real test cutting. 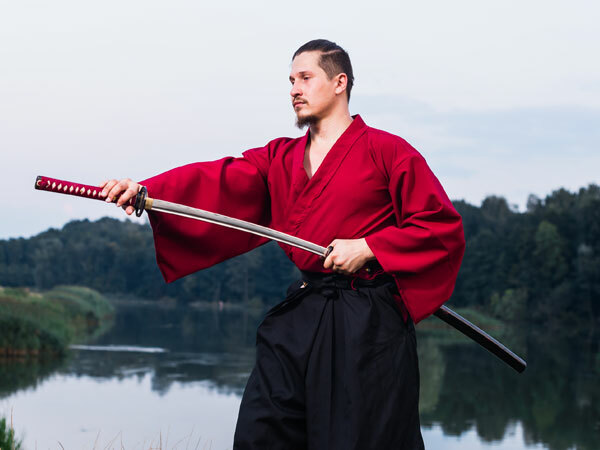 A functional samurai sword should stand up to a certain amount of abuse, keep a sharp edge, and be constructed correctly. 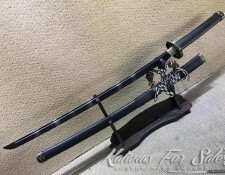 Shinken are functional katana swords made for real use. 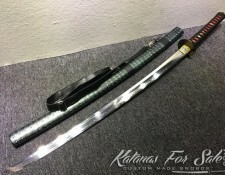 If you need a katana that will stand up to the rigors of real training in the dojo, or your backyard practice cutting, these are the swords you should be looking at. 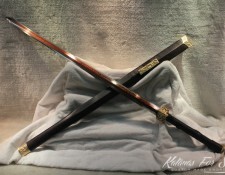 Iaito are used for basic training practicing such as swinging and kata (forms). They are not made for banging together or cutting anything. 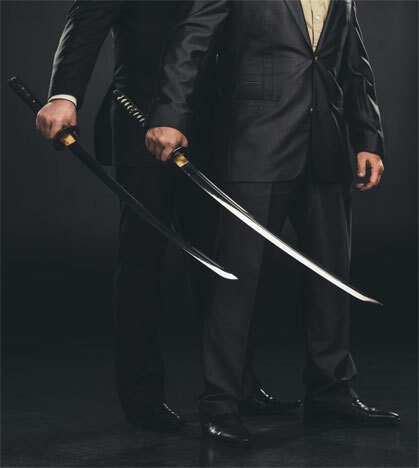 Iaitō are unsharpened practice swords with no cutting edge that are designed and manufactured much in the same way as Shinken. They are frequently made of materials other than steel. 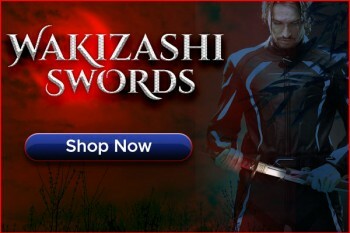 During checkout you can always decide whether you want your sword sharp, not sharp or ultra sharp. 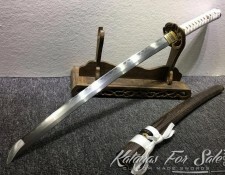 Continue reading to find out about the different steel types available for your sword. 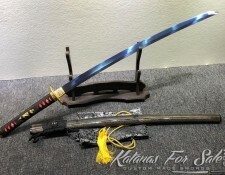 Most functional samurai swords are made out of high carbon steel. and Most of them are very high in carbon content. 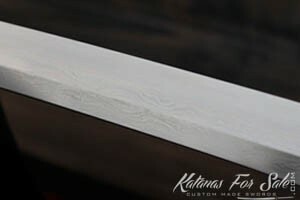 Stainless steel is excellent for making knives, however when it comes to longer blades, it tends to be very brittle, and usually swords made of stainless steel are for decorative purposes only. Some of the most commonly used high carbon steels are 1050, 1060 and 1095. As suggested by the number, a 1050 carbon steel has 0.50% of carbon content, a 1060 carbon steel has 0.60% carbon content, and a 1095 carbon steel has 0.95% carbon content. As carbon content rises the metal becomes harder and stronger but less ductile and more difficult to weld. Steel can be heat-treated which allows parts to be fabricated in an easily-formable soft state. If enough carbon is present, the alloy can be hardened to increase strength, wear, and impact resistance. 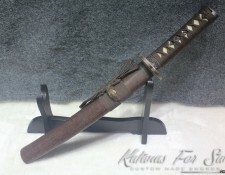 Another modern steel that is superior than most other swords made of high carbon steel in terms of hardness and durability is the T10 tool steel. T10 Tool Steel has gained notoriety because of its toughness. 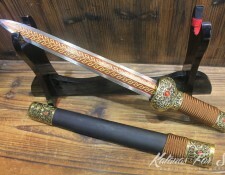 All of the elements that make up the T-10 made it stronger and it’s the most preferred by many collectors and sword enthusiasts. 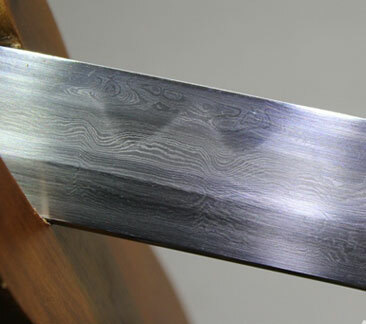 a subtle hada (grain) in the surface of the blade. Flexible, and can bend, twist and revert back into its original shape. suitable for cutting advanced target like bamboo poles. 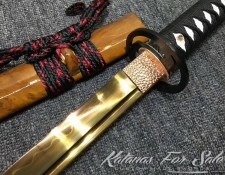 The folding process used for nihonto (traditionally made Japanese katana) was part of the refinement process for the steel in ancient Japan. 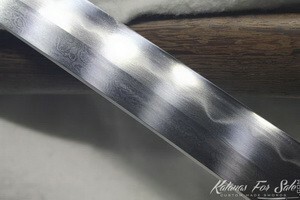 When the steel is folded, It produces a subtle hada (grain) in the surface of the blade. 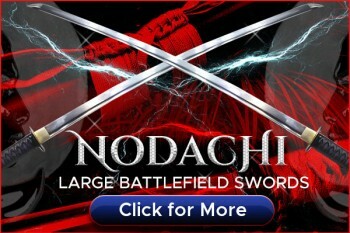 If you want a blade that has those characteristics – you want a folded blade. 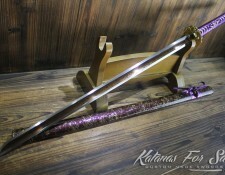 With modern steel, the folding process does not improve the hardness or performance of the sword. It is mainly for artistic value. 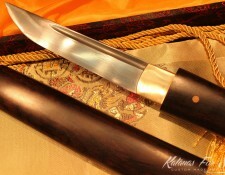 Folded blades are much closer to traditional nihonto made of Tamahagane and that is worth the price for many people. Many production shinken are not folded. They are made from a single monolithic piece of steel. 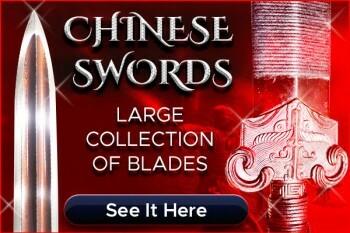 There’s no correlation between folded vs. monosteel swords and cutting ability, durability, or edge retention. 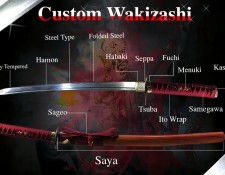 The steel used and the tempering process are much more important for the functionality of the sword. The downside of folded blades is the possibility of weld failures between layers. 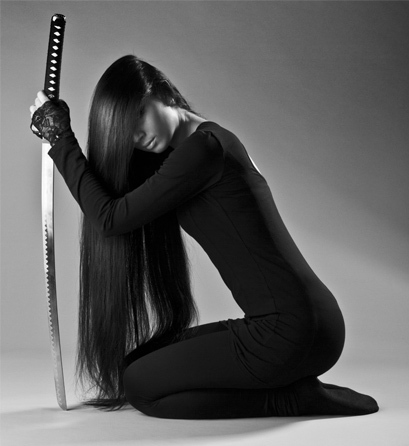 Unless done correctly – the folded blade may be much less durable than a mono-steel equivalent. It seems like everyone want to know how many times the blade is folded. Some manufacturers make the number of folds a big selling point. You get 2 layers when you fold it once, 4 layers when you fold it twice (8,16,32,64,128,256,512,1024, etc…) You get 8192 layers if you fold the blade 13 times. You get a million layers if you fold it 20 times. 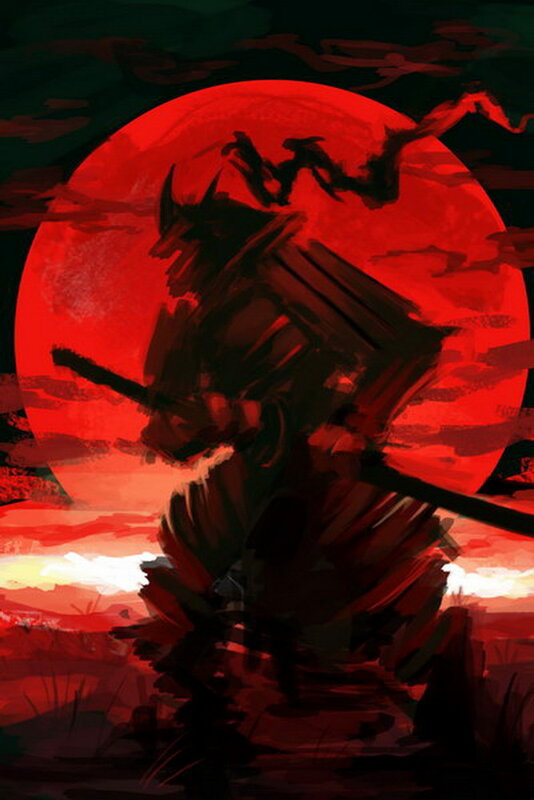 However, with today modern steel the folding process does not improve the sword. 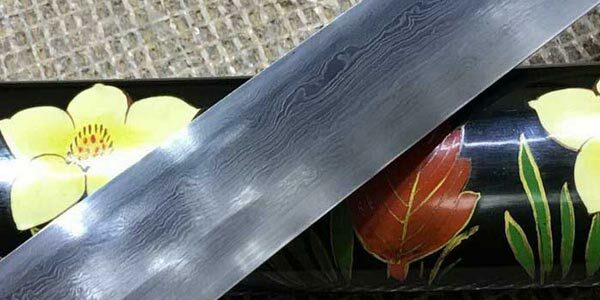 if you like your sword to feature the beautiful Hada grain pattern, then you should choose a folded blade, we offer the folding process for all types of steel. 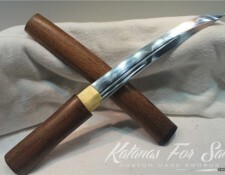 Many traditional forged Japanese swords have a hamon (a visual effect created on the blade by the differential hardening process) or temper line artificially added. 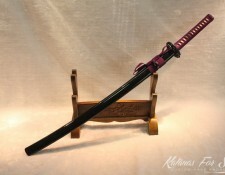 They use a purely cosmetic surface treatment that makes the katana look like it was differential hardened. 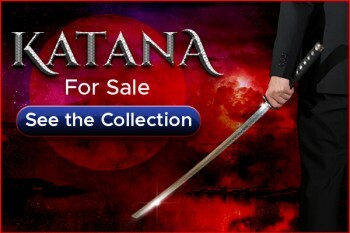 These to make the katana look more authentic (well not really if you know what you are looking at). 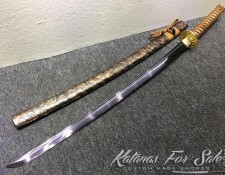 A clay tempered hamon katana (as opposed case hardened or tempered) has a hardened edge and a soft spine. The edge is hardened so it will retain a razor sharp edge while the spine is left softer so it will bend and not break. 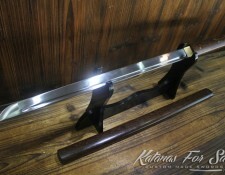 This is usually done with a traditional clay coating tempering process. 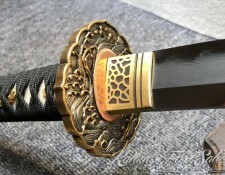 Most practitioners believe that clay tempering (differential hardening) is key to making a sword that will be used for extensive tameshigiri (test cutting). 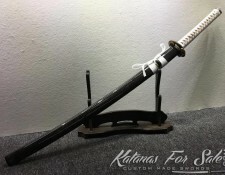 Expectations are that a functional sword should survive at least 10,000 tatami omote cuts (10 years of heavy use) and only need minor sharpening after every 500 (six months of heavy use). Edge of the blade has HRC Hardness around 62. 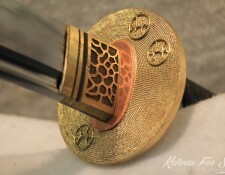 Designed for extensive Tameshigiri (test cutting). All our non-folded T10 blades are mirror polish (shiny surface). 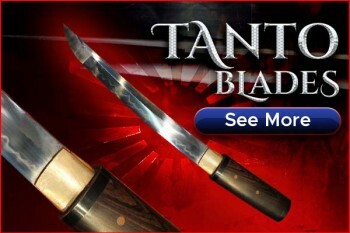 Increased value due to the traditional grain patterns on blade surface.